To better understand the role of researchers and the obstacles that they feel hinder dialogue with society at large, VA conducts studies of what researchers think about communicating with the general public. 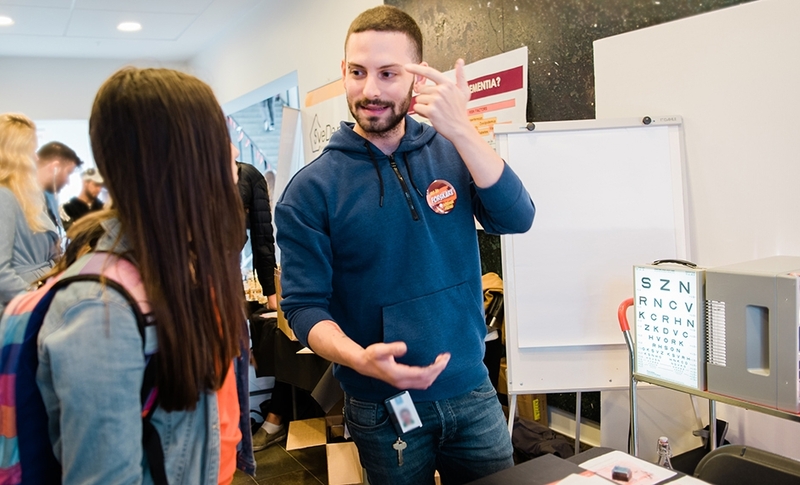 Petros Papadogiannis, KTH, talks with visitor at ForskarFredag Stockholm 2018. Photo: Erik Cronberg. Both in Sweden and in other places in the world, the public’s attitudes to and knowledge of research are often studied. But not as much is known about the other party in this dialogue – the researchers. VA has therefore studied their views on talking to the public about their research. During 2018-2019, we are conducting a survey of Swedish researchers’ views on communication and Open Science. 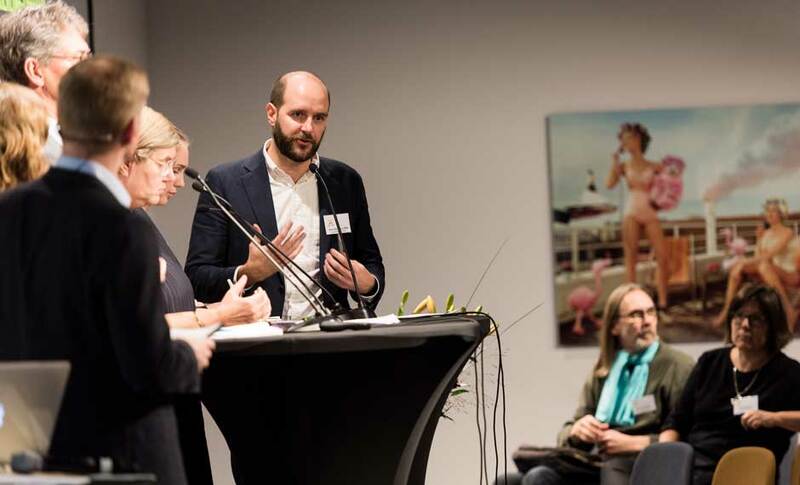 The project is being carried out by VA in collaboration with the Swedish Research Council, Vinnova – Sweden’s Innovation Agency, the Research Councils Forte and Formas, and Riksbankens Jubileumsfond – the Swedish Foundation for Humanities and Social Sciences. In 2002 VA conducted in-depth interviews with researchers in cooperation with Linköping University. In 2003 telephone interviews were conducted with more than 400 researchers at different levels and in different disciplines with the help of Synovate Temo. Also, a focus group study was conducted in cooperation with Linköping University. The results of the interview surveys are presented in the following report. The other reports are only available in Swedish.